Cainta Catholic College dawned through the CICM missionary zeal. In 1931, Rev. Fr. Jose Tahon was parish priest of our Lady of Light. Since he ran a school at the Manila Cathedral, his former parish, he deemed it wise to open a Catholic School so that the children of the town could avail of primary education. From charity, money and donation, Fr. Tahon was able to maintain the school free of tuition free but with regularly paid teachers. He indeed established a feat of sort, as he was able to have this arrangement even during the duration of Second World War. Enrolment increased each year up to 1944 though pupils were housed in three classrooms made of nipa and wood. In December 1944, Fr. Tahon died during the shelling for the liberation of Manila. With his death, Cainta Catholic School unfortunately ceased its operation. In 1959, Fr. Daniel Courtens, another CICM priest, was appointed Parish Priest. Having observed the expenses and the risk of the youth of Cainta faced in wanting to have a secondary education offered in neighboring towns, he decided to re-open Cainta Catholic School. In 1975, CCS becomes two-level school. The Elementary level started with Kinder and Grade 1, and a grade level was opened each year up to Grade VI. The Pre-elementary department was opened in the school year 1988-1989. In school year 1996-1997 pursuing the five-year development plan of the school, a college level was opened offering courses in Bachelor in Elementary Education (BEED) and Bachelor in Secondary Education (BSED), Bachelor in Business Administration, BS Religious Education, Bachelor of Science in Computer Science Thus, Cainta Catholic School became Cainta Catholic College. Cainta Catholic College, then a parochial school, was elevated to the status of a Diocesan College on February 9, 2004. Through a resolution of the Board of Trustees led by Most Rev. Gabriel V. Reyes, Bishop of Antipolo accorded CCC all the rights and privileges of a Diocesan College as provided by the Canon Law. In this same year CCC worked on Self Survey to prepare for accreditation. 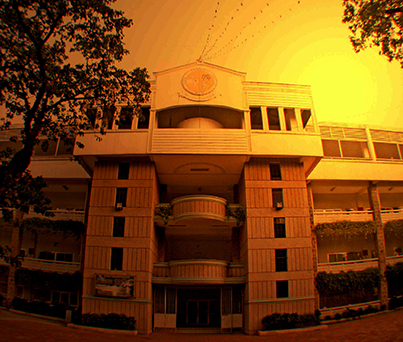 On November 2014, Philippine Association of Colleges and Universities Commission on Accreditation (PACUCOA), Cainta Catholic College was accorded Level 2 accreditation for the High School and Grade School Programs, and Level 2Ra for BSED, BEED, and BSCS programs, a quest the intuition has prepared so many years. Development of Cainta Catholic College is continuous and inspired by the hopes and dreams of its academic community. Increase in the number of satisfied parents and students were proven by the enrollment that continued to increase. With the intercession of Mary, Our Lady of Light, Cainta Catholic aspires to truly become a community of Christ’s Faithful in Communion and Mission of proclaiming the gospel values of Truth, Justice and Love.